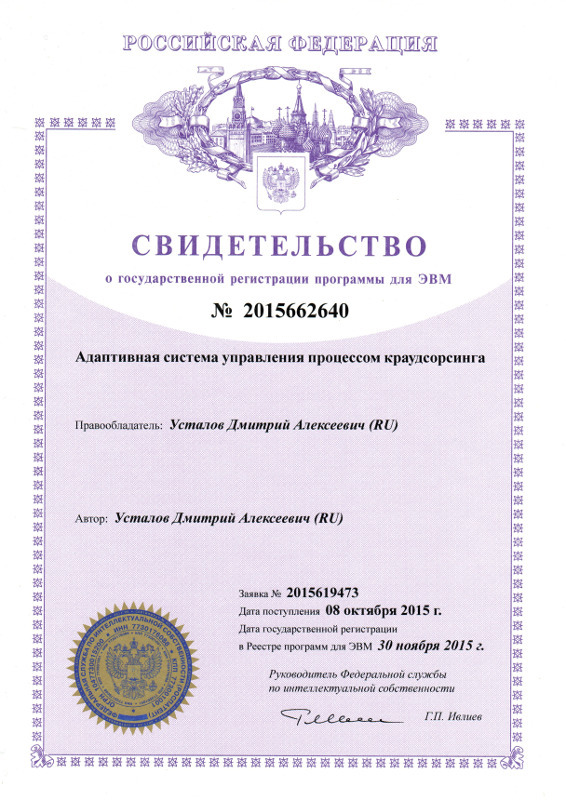 I am glad to announce that the Mechanical Tsar engine has been successfully registered by the Federal Institute of Industrial Property in Russia. The copyright registration number of the computer program is 2015662640. Such a registration is required only for affiliating the original source code to its authors, and, hence, will not affect the users. The engine is licensed under the terms of the Apache License 2.0. You are welcome to use the software even for commercial purposes without any fee—have you already tried our Docker image?